Pittsburgh has been gaining quite a bit of attention from other places for our bicycle friendly community. This is due in large part to the hard work of the folks at BikePgh and the people in Pittsburgh who ride their bikes and want to make this a better place for all bike riders. Even if you don’t have a bike or like to ride a bike (the only bike I have been on in the past 10 years is the spinning bike – I am great at pedaling and going nowhere) – we can all celebrate the community of cyclists that are putting Pittsburgh on the national map as a place for cyclists. 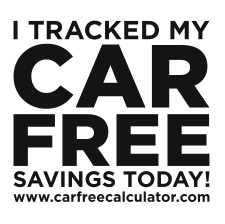 Pick up your sticker tomorrow morning at one of the breakfast spots and save even more – BikePGH has lined up some great discounts with local businesses – check out the entire list here. 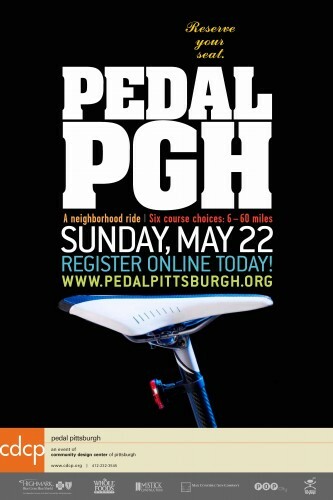 Each year the Community Design Center of Pittsburgh (CDCP) hosts Pedal Pittsburgh. An annual bike ride around the city with routes for every level of cyclist. This year’s event starts and ends at SouthSide Works. There are 6 different routes around the city from 6 to 60 miles long. A great way to check out Pittsburgh on two wheels and to support the CDCP. Looking for more bike rides? Check out the BikePGH calendar which lists many different rides that are open to everyone all around the city.